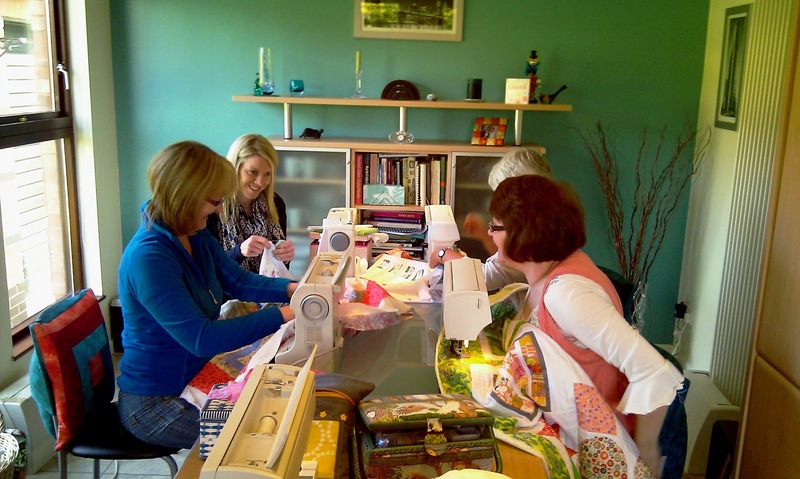 We had a wonderful afternoon of fun, chat and ‘improving the world’ sewing yesterday at Bee Blessed. 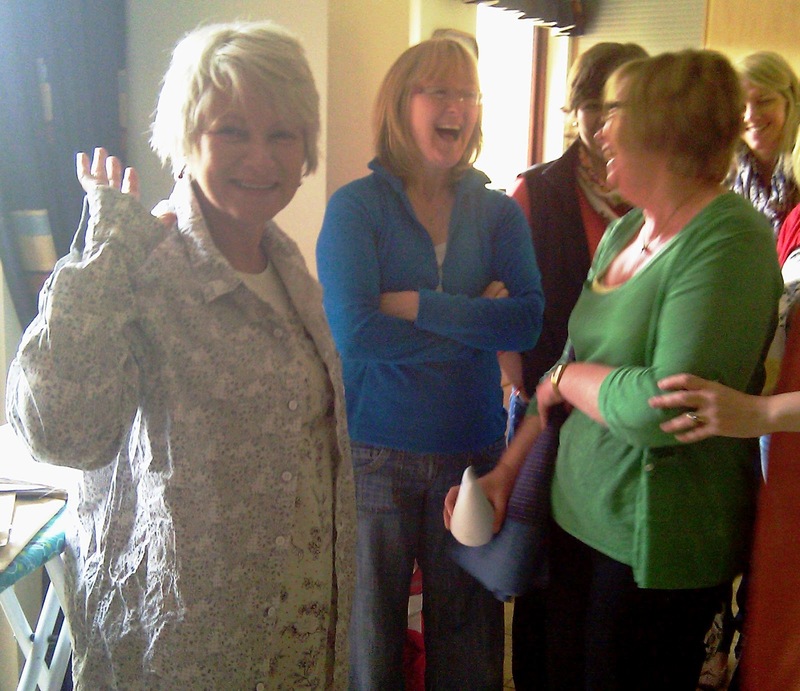 Ros modelling a man’s shirt (don’t ask)!! It was really special having some new friends there (as well as some old ones too!). With more interested folks wanting to join in our humble venture, we have now exceeded the space and hospitality of even the largest home, and so have decided to move our BB gatherings down to church (where I teach my classes). 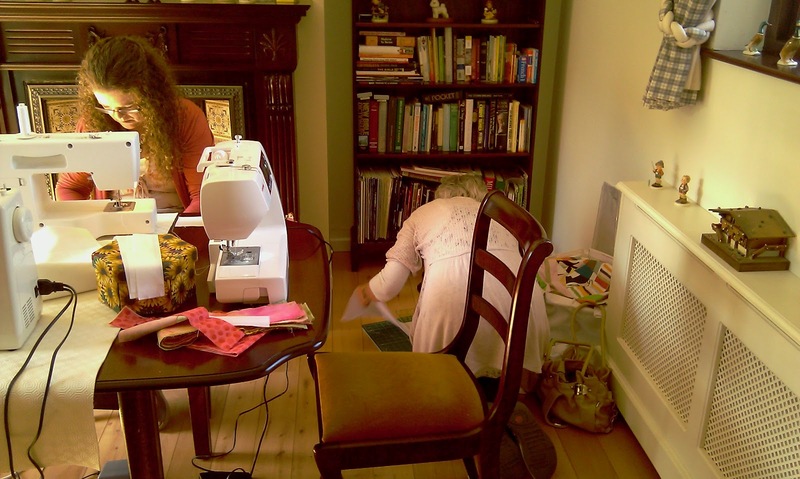 This will give us more space to layout & baste quilts, and also to quilt them (you know how much space you need around you to quilt a quilt!). We even end up on the floor! Just a few more Pippis and we’re there. I think this will make a very special quilt and will hopefully bless a young lady in a special way. 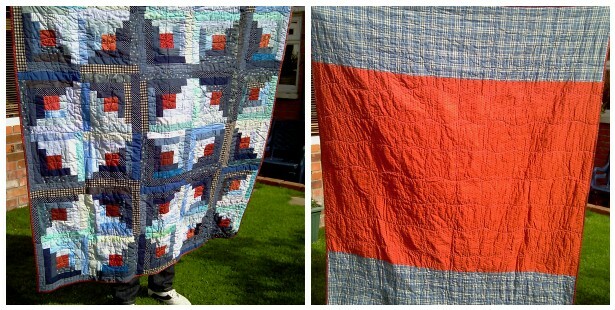 We have finished our log cabin man quilt, which will be making its way to a gentleman in need of some encouragement at the moment. And if you are interested in knowing what May’s block will be for Bee Blessed, then tune in tomorrow! 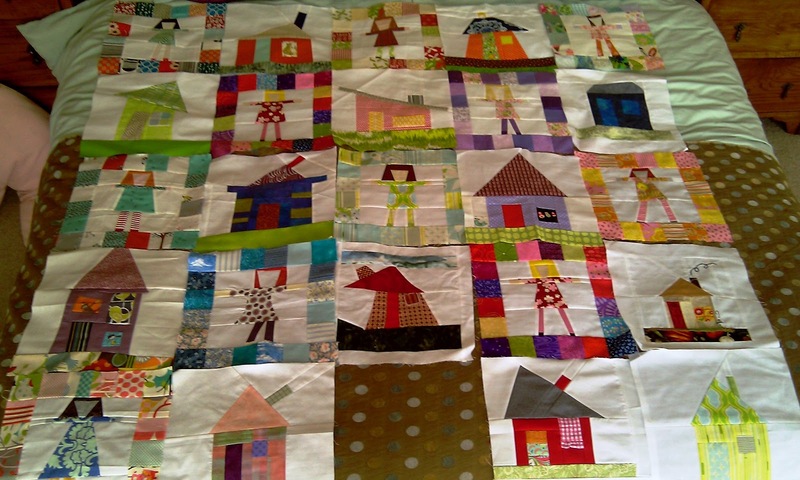 Thank you everyone for playing a very special part in these very special quilts.